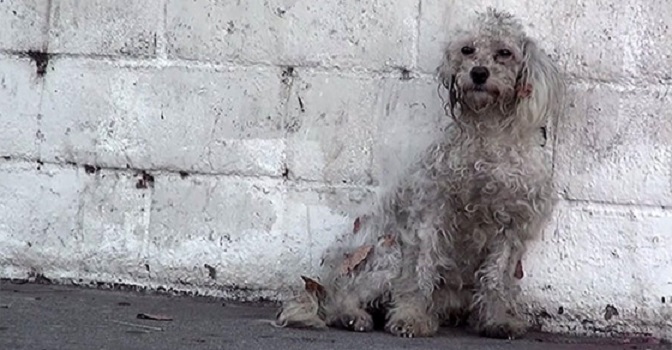 When Annie Hart from Rescue From The Heart received an urgent call about a homeless poodle that was hit by a car in South Los Angeles, she immediately called Eldad Hagar of Hope For Paws. Together, they rushed to find the dog, hoping that it’s not too late. They found her alone, hunched by the side of a busy road. Despite her poor condition, the dog did something amazing when she realized that she was being rescued. And it brought her rescuers to tears. It’s hard to imagine how a sweet and loving dog like Layla made her way into the streets. If her touching rescue touched your heart, share her video with others!